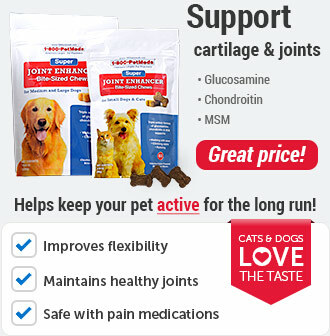 Duralactin is a nutritional aid for dogs and cats that contains a patented dried milk protein concentrate that is believed to help manage inflammatory conditions long term, and possibly diminish the need for steroids or NSAIDs. 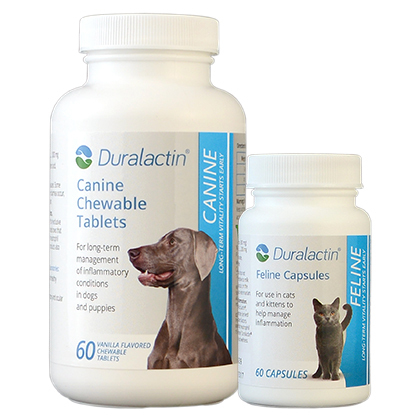 Duralactin Canine is available as a chewable vanilla-flavored tablet, and Duralactin Feline is a non-flavored capsule. Duralactin contains MicroLactin, a patented dried milk protein from the milk of hyperimmunized cows. MicroLactin contains factors that appear to block and inhibit body chemicals from participating in the inflammatory response. Safe use in pregnant pets has not been evaluated. Some pets may be sensitive to milk proteins. If vomiting or diarrhea occurs, or if your pet's condition worsens, consult your veterinarian. 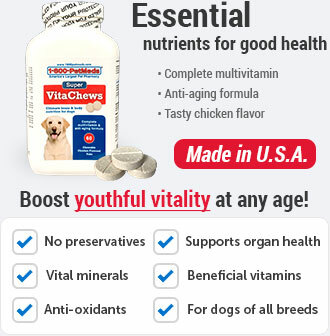 For Dogs: MicroLactin (dried milk protein) 1000 mg, dextrose, stearic acid, vanilla flavoring, and magnesium stearate. For Cats: MicroLactin (dried milk protein) 200 mg, magnesium stearate, microcrystalline cellulose and silicon dioxide. Duralactin is intended to be used as a nutritional aid for the long term management of inflammatory conditions. Duralactin is a non-prescription (OTC) product available as vanilla-flavored chewable tablets for dogs and non-flavored capsules for cats. 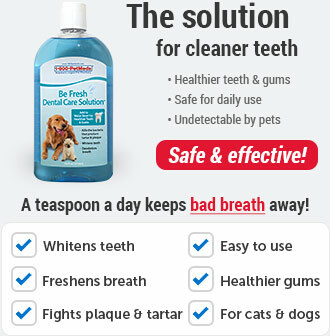 Duralactin Canine is a chewable tablet that can be given directly by mouth. 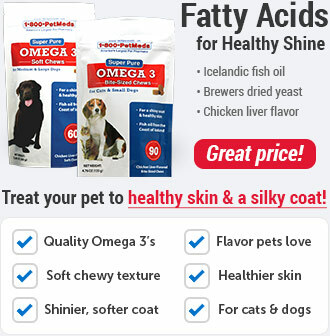 The suggested dose of Duralactin Canine for dogs 0-40 lbs is 1/2 tablet twice daily. 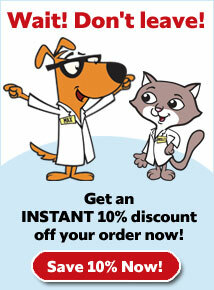 For dogs 41-80 lbs give 1 tablet twice daily and for dogs 81+ lbs give 1 and 1/2 tablets twice daily. To administer Duralactin Feline, open the capsule and sprinkle the contents directly on your cat's food. The suggested dose of Duralactin Feline for cats 0-12 lbs is 1 capsule twice daily and for cats 13+ lbs give 2 capsules in the morning and 1 capsule in the evening. Some cats may be sensitive to milk proteins and/or carbohydrates. Should vomiting or diarrhea occur, discontinue and contact your veterinarian. 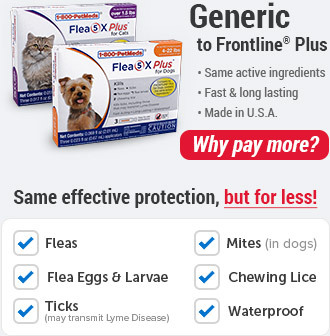 Duralactin Canine and Duralactin Feline are intended for veterinary use only. Store the container at room temperature. Keep out of the reach of children and pets. 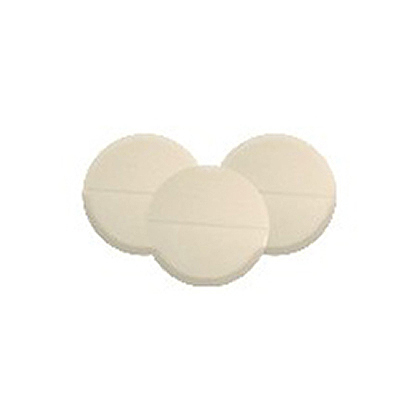 Duralactin Canine is available as vanilla flavored chewable tablets. Duralactin Feline is available as unflavored capsules. Results are usually seen in 4 to 7 days with maximum effect in 10 to 14 days. Sprinkle the contents of 1 capsule on food twice daily. Sprinkle contents of 2 capsules on food in the morning and 1 capsule on food in the evening. Other Ingredients: Dextrose, magnesium stearate, stearic acid, vanilla flavoring. Other Ingredients: Magnesium stearate, microcrystalline cellulose, and silicon dioxide.